President Thabo Mbeki lit a flame of freedom in Kliptown, Soweto on Sunday to mark the official opening of the Walter Sisulu Square of Dedication, the site of the Freedom Charter monument. The Charter, adopted by a People’s Congress of thousands on 26 June 1955, is seen by many as the foundation of South Africa’s 1996 Constitution. On 26 June 1955 over 3 000 people made their way through police cordons to gather in a dusty square in Kliptown to draw up the Freedom Charter. Accompanied by former president Nelson Mandela and Albertina Sisulu, the wife of the late struggle hero Walter, Mbeki first read the wall of remembrance of the historic event, the Freedom Charter. The President then lit the “flame of freedom” to symbolise the opening of the Square before unveiling a plaque in honour of Walter Sisulu, who died in 2003. 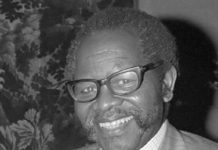 Sitting in a wheelchair, Albertina Sisulu said she was happy that she had “seen this” and was thankful to the people of South Africa for remembering her husband in such a manner. 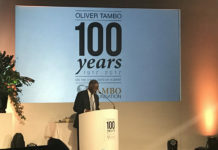 Addressing the 20 000-strong crowd, Mbeki said the adoption of the Freedom Charter was a commitment to accomplish the noble vision spelt out in the document. In the same way that it took time and great sacrifices for the country to achieve liberation, Mbeki said, so it would take time and demand new sacrifices to fully translate into reality the vision, born in struggle, represented by the Freedom Charter. 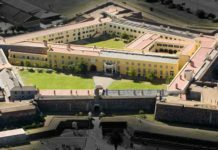 On Monday, Cabinet ministers will gather in a multipurpose hall overlooking the square for a formal sitting of Parliament – the first time that the National Assembly and National Council of Provinces will have a joint sitting outside Cape Town. 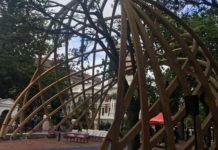 The Walter Sisulu square forms part of the Kliptown urban renewal project, an initiative supported by the provincial government and the city of Johannesburg to the tune of R160-million. “Kliptown is undergoing major infrastructural, environmental and economic development aimed at transforming it into a significant tourist destination and heritage site, as well as prosperous residential and commercial area,” Gauteng Housing MEC Nomvula Mokonyane said last week. The development programme aims to integrate the area’s local economy with that of greater Johannesburg, creating business opportunities and employment in the retail, manufacturing, tourism, transport, services and construction industries, and increasing transport efficiencies to and within Kliptown. It includes providing new housing, rehabilitating the Kliptown River, cleaning up the wetlands and creating a green space for recreation. The square, already proclaimed a national heritage site, will feature two squares representing the period of transition. 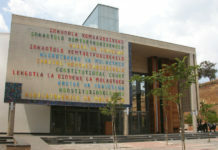 Its 10 pillars represent the clauses of the Freedom Charter, while paving featuring crosses celebrate the freedom to vote. The site will be used as a gathering place and venue for concerts and other cultural events.